It's on sale for $66 online at Walmart today, down from a list price of $74. Today, you can grab the smarts of Google Assistant and the convenience of Chromecast together in one package. A bundled set of the Google Home Mini and Chromecast is on sale for $66Remove non-product link online at Walmart today, down from a list price of $74. The Google Home Mini brings a lot of voice-controlled power in one compact package. With this little smart speaker, you’ll be able to search the web, play music, check the weather, and a much more, hands-free. You can also connect it to other smart devices to control them all in one place. With a simple, attractive design and a few helpful buttons, the Google Home Mini can easily integrate into your design scheme as well as the rest of your smart home setup. We gave it 4 stars out of 5 for its nice design, access to Google Assistant, and low price even before this discount. Google’s Chromecast can help bring smarts and streaming to your TV. This little dongle doesn’t come with a remote—instead, you can cast and control your content right from your mobile device or laptop. 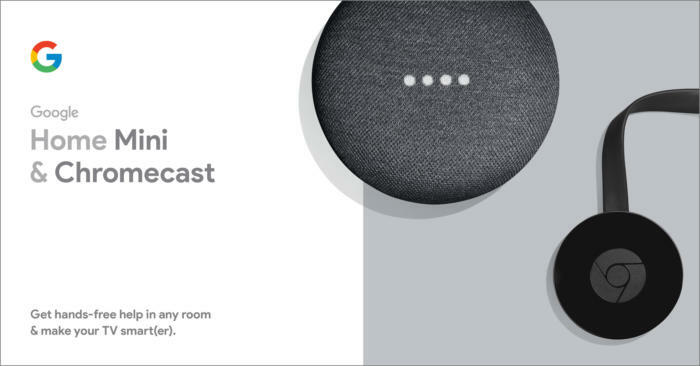 Even better, when you connect it to the bundled Google Home Mini, you’ll be able to control your TV with just your voice. We gave the Chromecast 4 stars out of 5 for the simple navigation and for its low price, even before this discount. This story, "This Google Home Mini and Chromecast bundle is $8 off today at Walmart" was originally published by PCWorld.